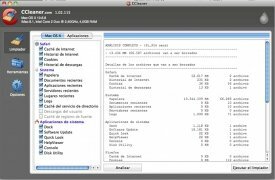 One of the favorite tools used by Windows users is beyond any doubt CCleaner. Now Mac users will also be able to enjoy the benefits provided by this great application. 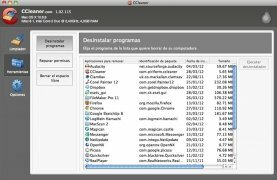 CCleaner is a program that takes care of optimizing your Mac by cleaning obsolete data, eliminating unused files and useless browser files increasing the performance and freeing space on the hard drive. Optimize your system by quickly deleting unnecessary files. Eliminate data stored by browsers like Firefox, Chrome, Opera or Safari among others. Check and verify file permissions. If you're starting to think that your Mac isn't performing as it should, it is time to use CCleaner. All you will have to do is select the elements that you want to remove from applications and browsers on its interface. Furthermore, you can uninstall applications from its interface, check and verify file permissions or establish a list of cookies that you want the system to maintain. 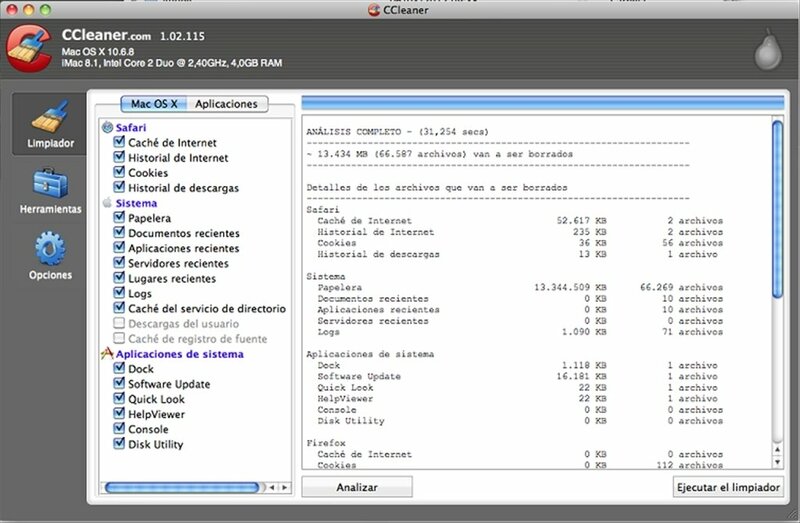 Download CCleaner free for Mac and take your computer's maintenance to the next level. Requires Mac OS X 10.6 or above.